PRO TIP: “Hydrated lips are essential, but if they’re too wet the pigments will slide off. 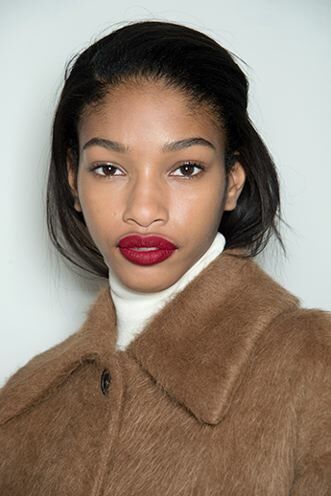 Start by pressing a lip balm into the lips before blotting to remove any excess. Always apply lip colour straight from the bullet with a pressing motion as this increases the colour pay off” - Pro make-up Artist Hannah Martin.